Cat food often contains rice to add fiber to your kitty's diet. An urban legend says feeding uncooked rice to birds makes them explode, and some apply that tale to cats as well. However, rice in moderate portions can help your cat's digestion and give him the energy he needs to chase birds away from your window and jump on your countertops. Just like with humans, uncooked rice isn't a good idea for your kitty to eat. First of all, it isn't very appetizing. Second, it's not as easy to digest as cooked rice, so it can cause bloating and stomach pain. More importantly, uncooked rice can contain a natural pesticide called lectin, which can cause food-poisoning-type symptoms such as diarrhea and vomiting when eaten in large doses. It's fine to feed your pet some rice, but make sure it's fully cooked first. As for the myth that rice can swell so much your cat's stomach can explode, there's no need to worry if your cat accidentally eats some uncooked rice. However, keep your kitty away from rising yeast dough, which actually can swell inside his stomach and cause severe pain. Rice is one of the easiest grains for your cat to digest, so it can help give your pet some calories if he's suffering from an upset stomach. Boil the rice in chicken broth and cut up tiny pieces of cooked chicken to feed him when he's under the weather. Rice also adds fiber to his diet, helping your feline friend stay regular as he visits the litter box. The carbs in rice give your cat energy to help him stay peppy and perky all day. Rice has a bad reputation as a filler product in processed cat food, and for a good reason. Your cat is a carnivore and he craves -- needs -- meat. Giving him too much rice can fill him up before he gets enough protein for his organs to function properly. In moderation, rice can be helpful to a cat's digestion, but if most of his diet is rice, he can become malnourished quickly, even if he's cleaning his bowl each time. If you're making your own cat food, make sure at least 50 percent of your ingredients come from meat products -- preferably up to 75 percent. Add about 25 percent rice and perhaps sprinkle in a few vegetables. 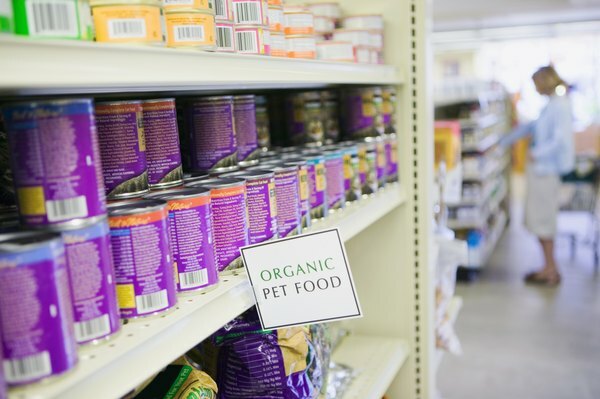 When you're shopping for cat food, check the ingredients carefully. Even if the first ingredient listed is a meat product, there can still be more grains than meat. Look carefully at the rest of the ingredients -- if the next three or four listed are grains such as rice, wheat or barley, those ingredients combined can make up more than 50 percent of the food. Ask your vet to recommend some food brands that contain the proper amount of protein for your kitty.